March was a very busy month for our family, which translates into March was an extremely busy month for me! Anyhow, I've finished my March 365project and here it is! I think April will be easier. You can click on the photo for a link to my project. There are titles and descriptions for the photos. I'm following a timeline of photos as outlined by a lady on twitter. Here was the list for March. If you're on Instag.ram, follow me: sugarfreesweetie. 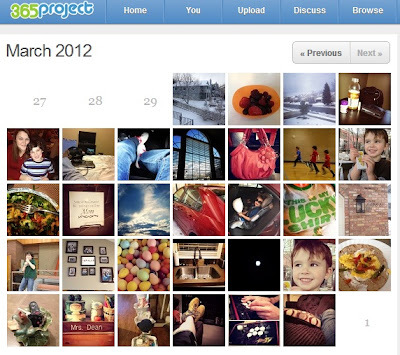 You can follow the hashtag #aprilphotoaday to see other users' photos. Join us in the fun! I post almost all of my photos there, and a few extras.